For thousands of years mankind has gazed at the starry night sky, wondering what lies out there in our solar system and beyond. As a youngster I obsessively read many of the classic space and exploration science fiction books by authors like Isaac Asimov, Arthur C Clarke and Jules Verne. Space is the final frontier for mankind, as less travelled a path as you can get. Fans of the popular series Star Trek which first debuted onscreen in the mid 1960’s would have hoped that by now almost 50 years later we’d be star trekkin across the universe. Sadly this is not possible except in your imagination by watching modern science fiction entertainment like the newly released film Star Trek: Into the Darkness. Unfortunately space flight and civil aviation standards have regressed during the last few decades. The last manned mission to the moon Apollo 17 was in late 1972, the final supersonic flight for Concorde landed in 2003 and NASA’s final space shuttle flight mission STS135 launched on July 8th 2011. The hopes and dreams of scifi fans may seem overly optimistic now but you have to remember their context in the second half of the 20th century which saw the invention of satellite technology, giant rockets sending people in orbit around the earth, on missions to the moon as well as the spectacular growth of commercial aviation after World War II and the supersonic Concorde which had a cruising speed of Mach 2.04 (2,170 kilometres per hour). Yet the future of manned space flight to the moon and beyond is far from certain, with world leaders like President Obama focused on urgent earthly issues such as cutting the US budget deficit. The ISS (successor to Salut, Skylab and Mir) whose construction was barely completed before the Space shuttle fleet was grounded won’t last forever either. 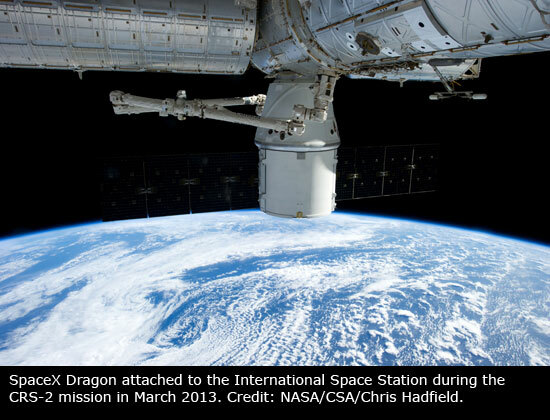 The NASA budget signed into law by President Obama in late 2010 extends the mission of the ISS until 2020. There is speculation that this could be extended until 2028 but nothing is certain. The next big project for Russian space agency ROSCOSMOS is the new Vostochny cosmodrome to be built in far Eastern Russia, which will reduce their reliance on using the old Baikonur cosmodrome located in ex-Soviet state Kazakhstan for manned space flight launches. We are at a key juncture point for the future of human aviation and space flight. William Gerstenmaier, NASA’s chief of human exploration recently told members of a US Senate Commerce, Science and Transportation subcommittee that if planned NASA budget cuts for 2014 go ahead then “we can’t deliver the programs that we committed to you that we would deliver … This is really going to be tough for us moving forward”. In early February 2013 NASA Administrator Charles Bolden told Senate Appropriations Committee Chairwoman Barbara Mikulski that due to NASA’s budget being cut so much, funding for private partners like SpaceX and “overall availability of commercial crew transportation services would be significantly delayed, thereby extending our reliance on foreign providers for crew transportation to the International Space Station”. Administrator Bolden was referring to the post STS135 situation where NASA is faced with the humiliating prospect of paying the Russian space agency millions for use of Soyuz spacecraft seats going roundtrip to the ISS, until the SpaceX Dragon or another American commercial spacecraft is ready for astronaut transportation duty full time. “That’s why the Obama Administration has placed such a high priority on correcting this situation. Three years ago, the Administration put forward a public-private partnership plan, the Commercial Crew Program (CCP), to ensure that American companies would be launching our astronauts from U.S. soil by 2015. It’s a plan that supports the U.S. human spaceflight program, boosts our economy, and helps create good-paying American jobs. If NASA had received the President’s requested funding for this plan, we would not have been forced to recently sign a new contract with Roscosmos for Soyuz transportation flights”. “Because the funding for the President’s plan has been significantly reduced, we now won’t be able to support American launches until 2017. Even this delayed availability will be in question if Congress does not fully support the President’s fiscal year 2014 request for our Commercial Crew Program, forcing us once again to extend our contract with the Russians. 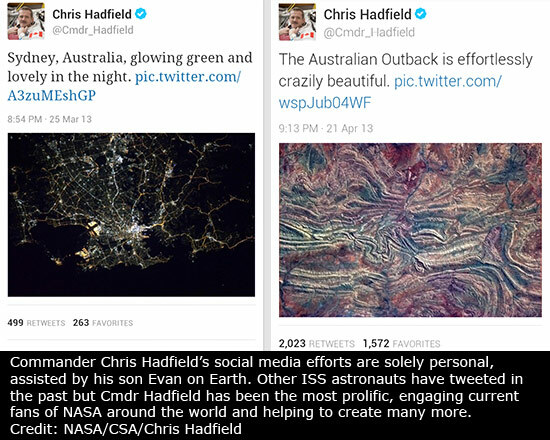 Further delays in our Commercial Crew Program and its impact on our human spaceflight program are unacceptable”. One thing NASA does very well, at a relatively low cost is science education and outreach to explain the value of space exploration. A recent internal NASA memo from late March 2013 shows just how poorly thought out long term space policy in the USA is at the moment, stating that “effective immediately, all education and public outreach activities should be suspended, pending further review”. 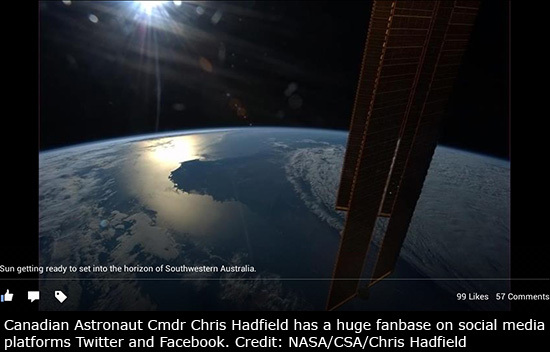 The current ISS Commander, Canadian Astronaut Chris Hadfield has shown through his stellar social media efforts that a huge audience is interested in what NASA is up to. What many are not aware of is that his social media updates are a personal effort assisted by his son Evan on Earth, without any NASA assistance. In the midst of all this gloom and doom enter Elon Musk and Richard Branson. These two entrepreneurs are putting millions of their own dollars on the line in a bid to reignite sparks of innovation and enthusiasm in manned space flight. Elon Musk is the co-founder of PayPal and electric car company Tesla Motors. Musk gained his fortune from selling Paypal and has since invested large portions of it in Tesla Motors and SpaceX along with venture capital partners. The character of Tony Stark in the Iron Man trilogy of superhero movies may have been partly inspired by him. Under President Obama’s bold and controversial new space policy NASA abandoned the troubled Constellation program to develop the next generation of spacecraft and booster vehicles which would have replaced the aging space Space Shuttle fleet. Instead it offered seed funding and the possibility of lucrative service contracts to entrepreneurial commercial spaceship manufacturers such as SpaceX to provide workhorse vessels for transport to and from the ISS so NASA could focus on flying to Mars and so-called “near-Earth objects. While several private companies competed to build NASA’s next heavy lift vehicles to carry cargo and astronauts to the ISS, SpaceX is in the lead position followed by Orbital Sciences. Virgin Galactic has its roots in Scaled Composite’s SpaceShipOne concept team headed by Burt Rutan, which won the $US 10 million dollar Ansari X Prize for the first non-government organisation to launch a reusable manned spacecraft into space twice within two weeks. Richard Branson partnered with Scaled Composites to build two Five SpaceShipTwos (the first pair of which will be called Enterprise and Voyager in homage to Star trek) and 2 WhiteKnightTwos . His Virgin galactic company has been taking deposits from aspiring rich joyriders for several years to go towards the full ticket price of approximately $US 200,000. For this princely sum a ticket holder will get to experience a flight to about 110km above Earth including a 6 minute period of weightlessness at the apogee (highest point of the flight’s orbit). The 110km altitude was not chosen arbitrarily but because the Kármán line internationally recognised as the boundary between the Earth’s atmosphere and space lies at an altitude of 100 kilometres (62.1 miles). In reality the atmosphere simply gets thinner the higher you go above Earth so there is no actual visible line at 100km, the reason it was chosen is because above that altitude a spacecraft would have to fly faster than orbital velocity in order to derive sufficient aerodynamic lift from the atmosphere to support itself. 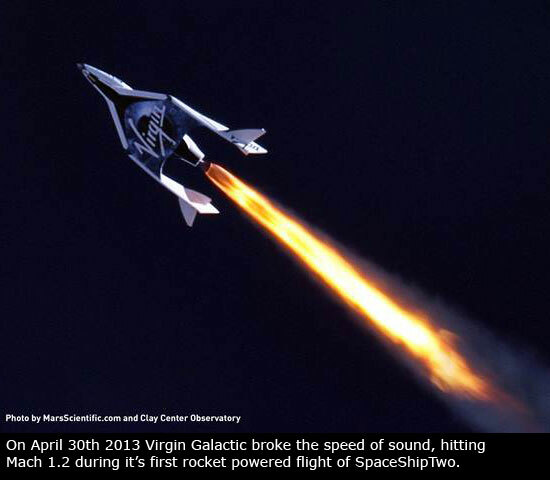 Virgin Galactic is not expected to have its maiden passenger flight until early-mid 2014 at the earliest. Private Sector Flights To Infinity and Beyond? Without inspiring stories about space there won’t be any prompts to make people ponder the abandoning of near-term manned space flight plans by the USA, whether China, Russia or Japan might take up the slack and plan their own missions to the Moon and beyond. Perhaps entrepreneurs like Elon Musk’s SpaceX will make the necessary investments that nation states are unwilling to, with any resulting benefits accruing to his investors rather than the public as a whole. The decisions made by governments and private corporations in the second decade of the 21st century will decide whether manned spaceflight beyond low earth orbit will be relegated to a display at the Smithsonian’s National Air and Space Museum or evolve into serious plans to build a successor to the International Space Station (ISS) as well as sending astronauts to Mars and beyond. If these attempts fail then mankind’s greatest space achievement will be recorded in the history books as the Voyager I mission launched on September 5th 1977 and still going strong today, soon to enter interstellar space and travel where no man has gone before, or ever will, over 18 billion kilometres from our sun.